The Government has published its final apprenticeship funding policy, which includes additional funding for young persons and apprentices from disadvantaged areas, and an extended period for large employers to use their apprenticeship funds. Under the new funding policy, employers will receive £1,000 when they train young apprentices aged 16 to 18, or apprentices aged 19 to 24 who have previously been in care or who have a local authority education, health and care plan. The increased funding is meant to offset the cost of training for this group. The Government will also pay 100% of the training costs for apprentices from this group of young persons, where an employer is not required to pay the apprenticeship levy and has less than 50 employees. The new funding policy allows training providers to receive a number of additional payments, including additional funding for training apprentices from disadvantaged areas in England, and higher funding bands for apprenticeship frameworks in science, technology, engineering and mathematics (STEM) fields. Under the final funding policy, employers that pay the apprenticeship levy will have 24 months (up from 18) to spend their apprenticeship funds and, beginning in 2018, increased flexibility to transfer a portion of apprenticeship funds to other employers. 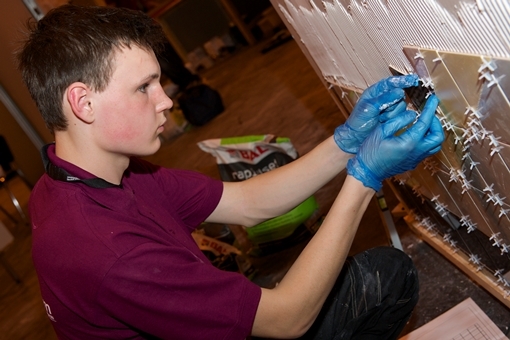 The apprenticeship levy will be set at 0.5% of an employer’s paybill. Each employer will have an annual allowance of £15,000, which will be offset against the levy. In effect, only employers with a paybill of more than £3 million will be liable to pay the levy. The changes to apprenticeship funding are the result of feedback received on an initial funding policy published in August 2016. The new system will take effect in England beginning May 2017.